Johnson & Johnson, the parent company of Janssen, employs approximately 5,000 people in Belgium and contributes more than a billion euros in R&D investments annually. That makes Janssen the largest private investor in R&D in the country by far. These investments are essential for the development of new products and technology for urgent medical needs. In addition to this, the company spends millions of euros each year on equipment, buildings, and software. Consciously continuing to invest in Belgium, even in times of economic crisis, characterizes Janssen and J&J. These annual investments demonstrate the deep-rooted confidence of the Johnson & Johnson in Belgium as a subsidiary location. This is no coincidence, for the pharmaceutical industry continues to be one of the pillars of the Belgium economy. It is precisely because the research and development of new medicines is so expensive and time-consuming that it is important that the government creates a stable fiscal and economic climate which allows us to develop and expand a sound long-term vision. We can only continue to invest if our efforts are rewarded with a fair price for drugs that are truly innovative and make a difference for the patient. Together with the government and other partners such as pharma.be, we have recently outlined an approach where the patient is the central focus. This Pact for the future has recently been signed by all those concerned, including the Minister for Public Health, and is also vitally important in terms of anchoring the pharmaceutical industry in Belgium. For its decades of confidence and consistent investment strategy in Belgium, our parent company Johnson & Johnson was awarded the Lifetime Achievement Award in 2013. 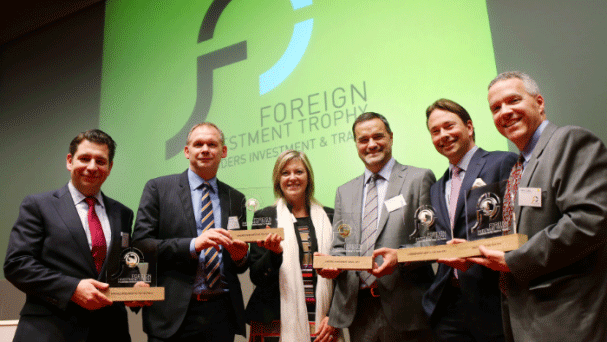 This prize, issued by Flanders Investment & Trade (FIT) highlights the importance of foreign investments in the Flemish economy. FIT has called J&J a role model for domestic and foreign investments and praised the company’s focus on innovation and growth. Will the Belgian pharmaceutical industry remain among the best in the world? The Belgian pharmaceutical industry commands an excellent reputation on the international stage. 29 of the top 30 pharmaceutical companies in the world have offices in Belgium. These include Johnson & Johnson, GlaxoSmithKline, Pfizer, and UCB, four strengths of the Belgian economy. Belgian is the third biggest exporter of medicines in Europe after Switzerland and Ireland, accounting for 40 billion euros in 2014. The pharmaceutical sector in Belgium employs 34,000 people, including 4,000 scientific researchers. Belgian is also the global leader in organizing clinical research, and the government has recently confirmed that it wants to maintain that position. However, rival countries are attempting to overtake Belgium in this field. It is therefore important that the government is committed to stability so that investments can be kept under control.